Club Penguin Cheats by Mimo777 Club Penguin Cheats by Mimo777: No More Club Penguin Field Ops? Now Gary has sent us yet another Club Penguin message! Woot! 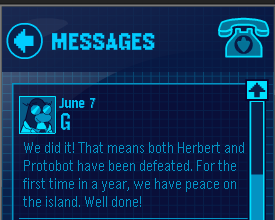 We finally defeated Herbert for the first time in a year! Im going to dissapointed if the Field Opses will be gone. I've been wondering.. when they release this week? If theres no new Field Ops next week, Field Opses are surely over..
Oh please... The EPF is one of club penguins biggest things going! Their probly just teasing us for something big that's gonna happen. If EPF doesn't have a villain the EPF shuts down. CP is smarter than that they know they get rid of it and a lot of people are gonna be ticked off. Either Herbert is planning something big or CP gonna get a new villain! Field Op Is Training Also!!! When is the actual iphone 5 supposed to show up? I've got verizon and would like to obtain the new iphone when my personal contract is up in September, I would really like to find out if the iphone five is coming out at any time in the future, simply because if so, I would stick it out longer to get that instead of the apple iphone 4.
hey mimo! I went to log on to CP today and i saw that the OLD login screen is back! did CP remove the new one because it caused the bugs? Well at least Herbert's defeated. But if they end Field OPs, they're probably going to start a new activity thing that earns you EPF medals. because some people probably don't have all the EPF gear they want to earn. I've only completed 4 sets and three other items. also, in a few weeks, if there's still field OPs, we'll be celebrating a whole year of Field OPs. Waddle On! i dont believe it! herbert wont rest until hes in an orange jumpsuit in CP jail! I doubt it. We wouldn't have defeated him by just killing his robot. Herbert is wayyy more complex then that IM sure he is already on his way to make our lifes miserble :D I still miss psa and stuff like that meaning missions not a repeat of something we did for a party. hey mimo, if u've been on cp lately there is no chat bar, spy phone, or map. i just thaught id tell u that there was a bug. Of course, right when we reach 49 field ops. They don't want to hand us a red sticker do they. I think Herbert would be back with some more new ideas, how could he have given up? Every game needs a villian. Agents, stay alert. Maybe they gave us three medals for the hydra fight because it's going to take a few weeks for the next field op.